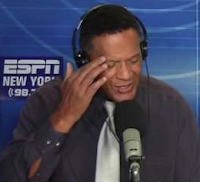 YES Network announcer Ken Singleton is close to officially returning for another season, reversing his preseason announcement that this year would be his last broadcasting for the Yankees. Singleton all but confirmed reports stating he would return for his 23rd season in the Yankees’ booth. The 71-year-old wants to spend more time with his grandchildren, but Filippelli has been able to persuade him by offering a reduced schedule. Singleton said he would work 18-24 games next season, down from a reported 55 this year.